Scott Christensen is a small, quiet-spoken man who is one of the best landscape painters of our time. 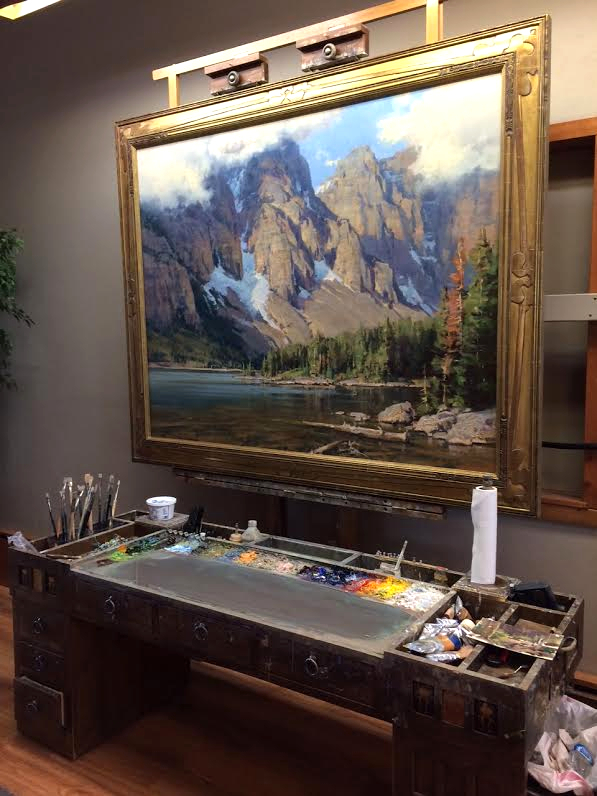 As I sat with three other people in his advanced painting workshop, we had to listen closely to hear every word he was saying. His style wasn’t to ramble, however. He got directly to his point. “That’s what you never hear,” he said softly. For some reason, this hit me deeply. I had never imagined Anders Zorn or Michelangelo struggling. I hadn’t thought of how they had worked through 3, 4, or 5 studies….whatever it took, to get the right idea together before they began. I found it hard to think of them “destroying the finest things they’ve ever done” to get beyond what they already knew. It was a novel idea to me as I heard that the setup was the key to a successful painting….not that actual “painting” itself. Scott spends the majority of his time mixing colors and values. Then the painting takes care of itself. “You have to know where you want to go, ” he said. I’ve turned down 5 interior design projects this summer. All of them were in a rush. I can’t create anything good if it is rushed. It takes deliberate, patient effort to create a masterpiece. Before you jump into that next decorating project, stop and ask yourself what your motive is. Is there something you want to accomplish that “exhilarates and lifts the mind beyond the mere making of a picture”? When you figure that out, everything else will fall into place.